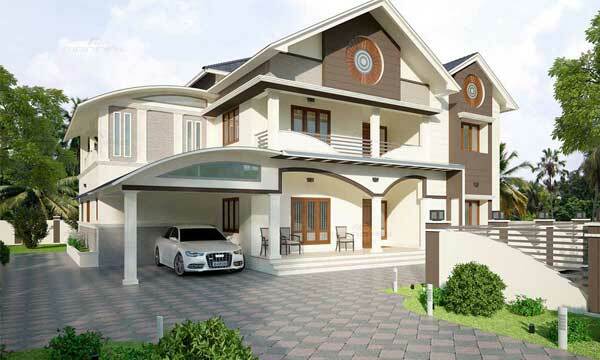 This modishly designed minimalistic home captures ones attention by conveying the message of simplicity. 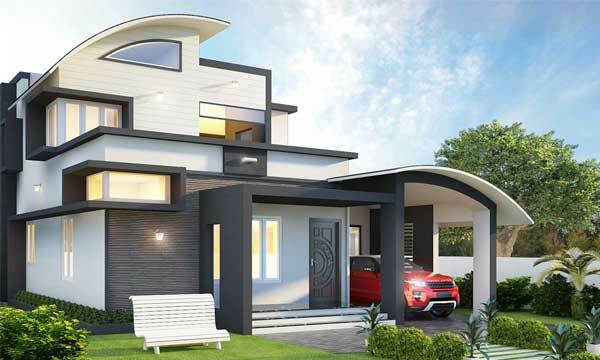 Being one of the best architects and interior designers in Kerala, we have given maximum power to the architectural spaces by using geometrical forms, simple, limited and plain materials to showcase its real beauty. 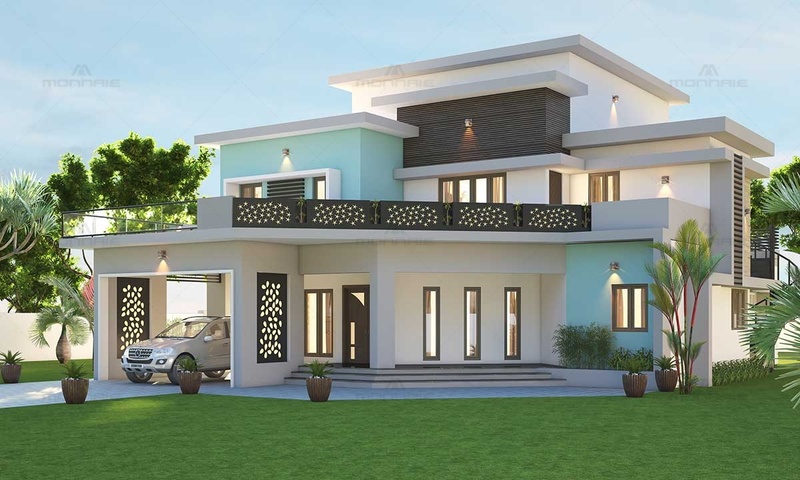 The pleasing composition of volumes with a pinch of sophistication brought in with the CNC panels and the stone cladding creates a composed and attractive exterior. 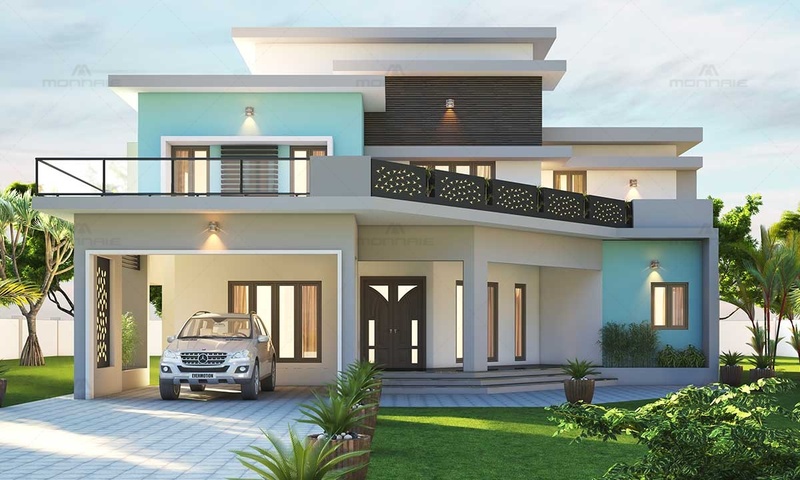 The variations in roof heights with the chamfered wall and the parapet makes the home more dynamic and vibrant. Adding a smidgen of mint blue in its neutral colour palette gives it a subtle elegance and merges with the placid landscape. 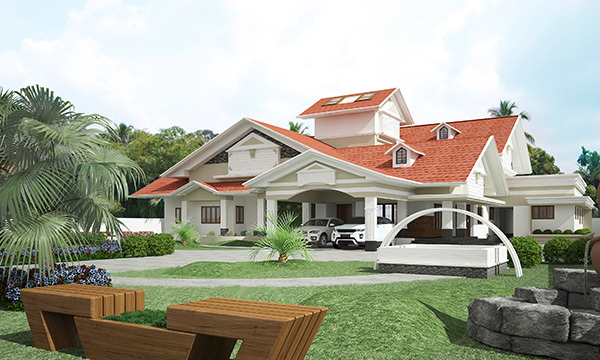 This simple Kerala home plan is a perfect example of a well-ventilated and spacious interior design.